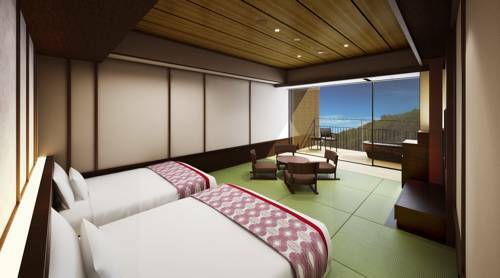 Opened in April 2017, Hakone Kowakien Tenyu offers Japanese-style rooms with tatami flooring, an open-air bath or ceramic open-air hot springs bath made with Shigaraki pottery. 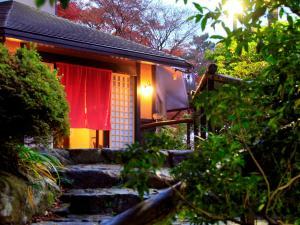 The property boasts views of Tonomine, Myojogatake and Mount Asama. There are scenic views of Mount Fuji on a clear day. Free WiFi is available throughout the property. All rooms have air conditioning, a flat-screen TV, minibar, refrigerator, electric kettle and private bathroom. Free bath amenities and a hairdryer are provided. Some rooms feature a seating area where you can relax. Wine and champagne are offered by the property at an additional fee. The 24-hour front desk provides free luggage storage. Guests can enjoy the shared lounge, shops, on-site gardens and terrace. There is also a swimming pool, spa lounge and sauna available for guests. There is an on-site drinks vending machine. 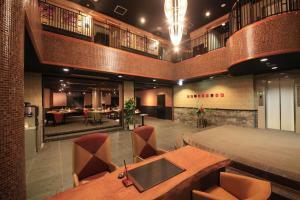 There is an on-site bar and lounge in addition to a Japanese-style restaurant. 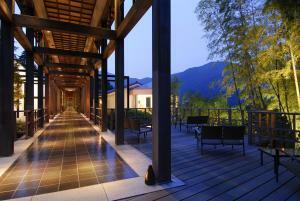 Hakone Kowakien Tenyu offers a choice of Japanese or Western breakfast. For dinner, guests can enjoy Japanese and Western-style fusion cuisine. 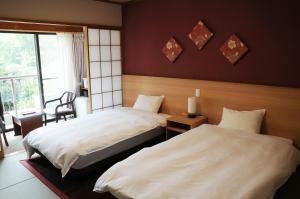 The property is a minutes walk from Tenyu Bus Stop and a 12-minute walk from Kowakien Bus Stop. The property also provides a free shuttle. 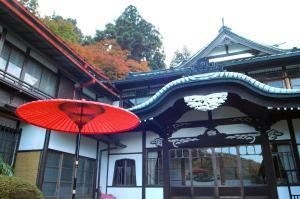 Kowakudani station is a 16-minute bus ride from the property, while Hakone Kowakien Yunessun is a 5-minute walk away. A 30-minute drive away from the property, Hakone Open-Air Museum has an outdoor exhibit with sculptures and an indoor exhibit dedicated to Pablo Picasso. Lake Ashi is a 25-minute drive away.